This cute little statue is luring children towards him with his instruments magical power! Oh, I love it. Excellent find and capture. Clever and certainly colorful seasonal decoration...nicely captured! 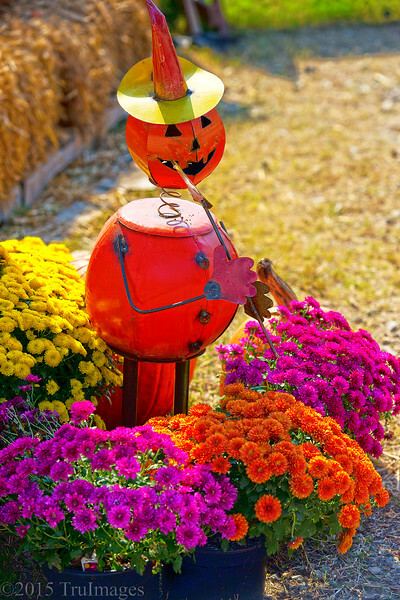 Vivid colors and what a cute "Pumpkin Piper." Love your caption, as usual! Really cute display! Great colors!